Home » Sports » New York Jets considering Michael Vick? The New York Jets might just be interested in Michael Vick according to some reports. The reports suggest that there is a “Legitimate possibility” that they might get Michael Vick. Michael Vick, the veteran quarterback will very soon be free and available in the market. His contract with the Eagles is about to end in a few weeks time and he might just have a new start with another team. Ian Rapoport of NFL.com tweeted about the possible of New York Jets getting Michael Vick. Rapoport goes on to mention Vick’s relationship with Jets offensive coordinator Marty Mornhinweg as a reason the Eagles’ quarterback could head to New York. 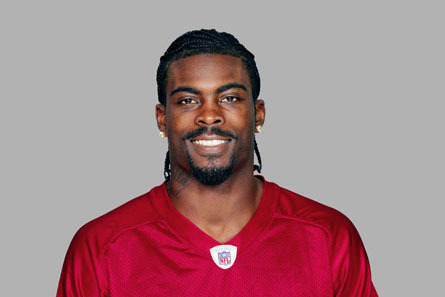 Mornhinweg was Vick’s offensive coordinator for four seasons of Vick’s five seasons in Philadelphia. This is not the first time Vick has been linked to the Jets, and it certainly won’t be the last. If they aren’t willing to let Geno Smith develop, Vick would be an upgrade for next season. Needless to say, however, Smith has a better chance of being the long-term answer — which could derail Vick heading to New York. As for the Eagles, it appears close to a done deal that Vick will leave. Eagles general manager Howie Roseman said as much this past week, when he mentioned that there was not a chance to start in Philadelphia for Vick. Next: Godzilla 2014 Movie Trailer Released!